Over the last 3 or 4 years my work has become increasingly figurative - something I would never have predicted being an abstract girl at heart. When you look for it, there's a lot of 18th & 19th century public figurative sculpture in our cities which I now examine closely. 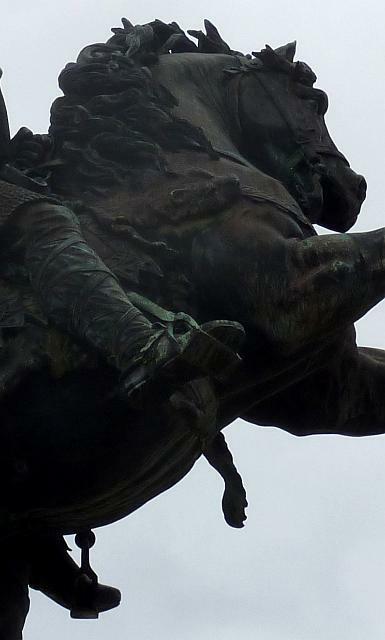 I'm not at all an animal person but I've started to notice horse sculptures which are sometimes incredibly dynamic - like this amazing statue of Guillaume le Conquerant (William the Conqueror) in the town square of his home town Falaise in the Calvados area of Normandy. The year 1066 is of course emblazoned in the consciousness of British people being the date that King Harold lost the battle of Hastings and the Norman conquest of Britain began. Everything changed for the vanquished British - not least our language which was transformed through French influence. What interests me even more is the detail and the way materials, objects and textures - intricate or fluid - are represented in a rigid, impassive material like bronze. Look at the chain mail for example. 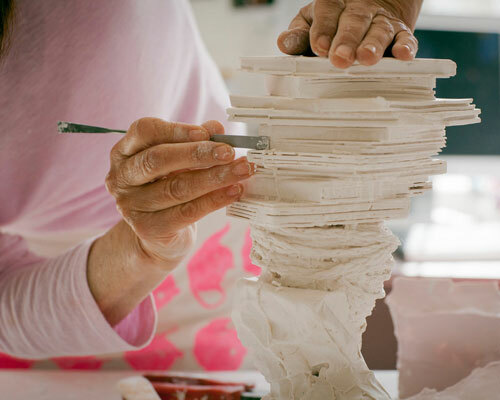 One of the aspects of complex sculptures like this which intrigues me is how they make the moulds. 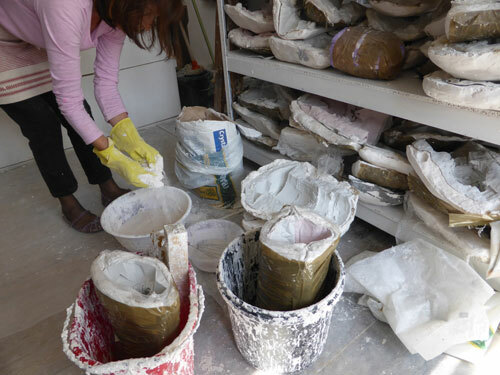 For my sculptures I make simple two-part moulds but this must have required a mould of many pieces. The legs for example must have been a huge challenge. 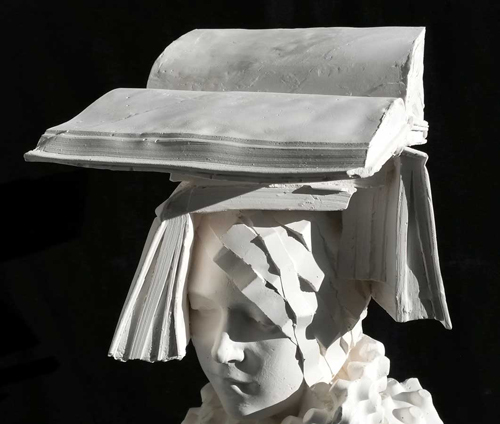 I can't help but ponder all the technical issues when I look at sculpture. Not so many people have these skills nowadays - shame. You can almost smell the sweat coming off this horse and see the muscle pulsing. I love the horses mane, the leather, the garters, the boots, the stirrups - all the detail! There's even a wool fleece under the saddle. So much movement in the flowing cloak and horses tail. You can imagine the pounding hooves and flying divots. The edges of verdigris make a beautiful contrast with the dark, matt bronze. 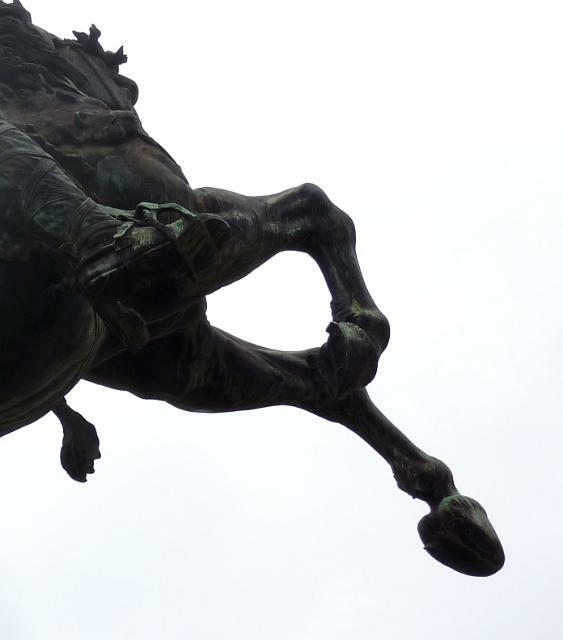 I love Guillaume le Conquerant, galloping over the rooftops - a truly heroic piece of sculpture - sculptor unknown. If any one can find out who made it, please let me know! Wow.. some monument!! I think it's a lost wax casting. The quality of the modelling is superb. It is amazing to think of the skill that has been acquired to be able to recreate the textures, hard and soft, and to breathe life into them. I really enjoyed the post. 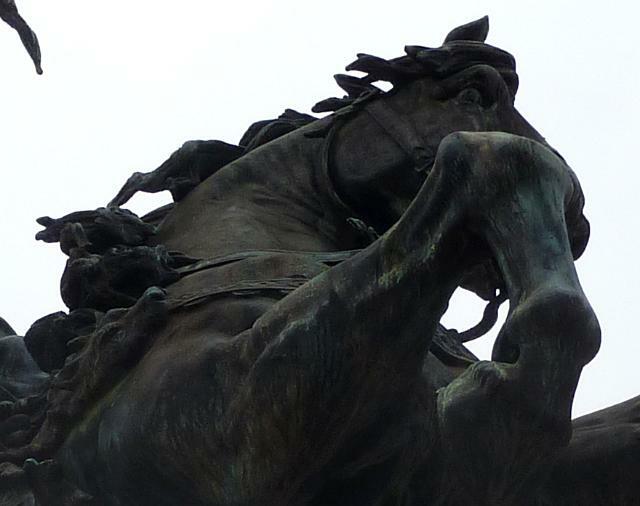 He made several monumental equestrian sculpture including one in Latin America.. I wonder what the medal and the decoration are he has in the photo?? I visited Falaise by chance on my way through Normandy. I found it to be an interesting town. 75% destroyed during a ferocious battle in 1944, there is a stark contrast between rebuilt streets and the battle scarred church. I was looking forward to visiting the castle but was utterly stunned when turning a corner I was faced by this (superlatives fail me) awesome statue. Looking at it made the hairs on the back of my neck stand on end. It was electrifying. I'm not at well versed in sculpture. I have no art background and I don't know what it is about this sculpture that makes it so good. But, it was uplifting just to stand before it.